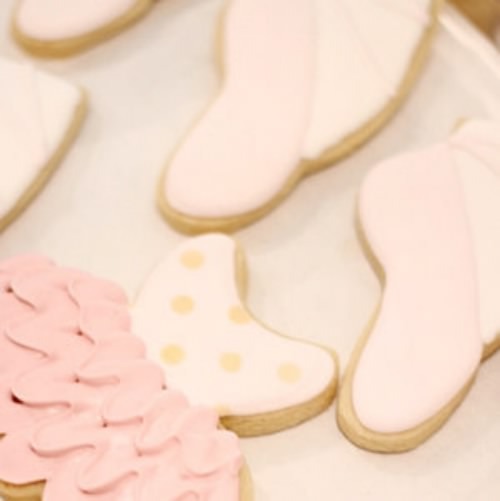 Sweet pink ballet cookies. Perfect for a recital treat after all their hard work. Frost a batch for a ballerina’s birthday party or a new baby girl shower.